In a move that should surprise absolutely nobody the Suits In Indianapolis (Formerly Kansas) have brazenly decided not to enforce a rule the crated just last summer. Nice, NCAA, NICE! 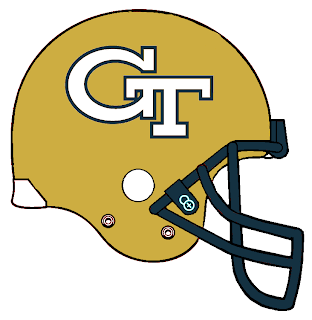 Yesterday, the merry band of knuckleheads, approved Georgia Tech's bowl waiver, allowing the Yellow Jackets to play in a bowl game even if they lose to Florida State and finish 6-7. Georgia Tech had filed a waiver after the NCAA board of directors passed a rule last summer, prohibiting bowls from picking a 6-7 team over an eligible 6-6 team. The NCAA's decision to allow a team with a losing record in a bowl means a non-AQ team with a .500 record or better will not get a bowl bid. Now, we understand that bowl money plays a key role in the GT athletic budget and it may well support some non-revenue sports. We’re cool with that, but rules is rules people. Like the Big Wigs at T.A.H., Mid-American commissioner Jon Steinbrecher was disappointed in the NCAA's decision. "I could not disagree more with the rationale provided," Steinbrecher said in a statement. "One of the reasons for the development of the policy covering this matter was to clearly create a selection order to manage just this situation. "These selection orders were developed with NCAA staff input and approved unanimously by the NCAA Board of Directors last July. 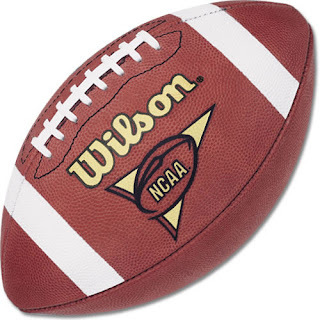 To suggest that the NCAA staff or task force working on bowl policy did not contemplate such a circumstance, when this same situation occurred last year, is incorrect. The policy is clear and understandable. 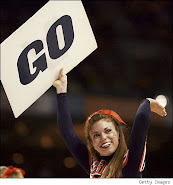 "What is lacking is the willingness to enforce NCAA policy and that is regrettable. All the Mid-American Conference asks is that the rules that have been approved by the member institutions of the NCAA be enforced. That did not occur in this instance." Last week, ESPN learned that "several” conferences were opposed to a Georgia Tech receiving the waiver and taking a spot from a .500 or better team, specifically because the NCAA had changed the rule just five months ago. To see arguments for and against, click here.